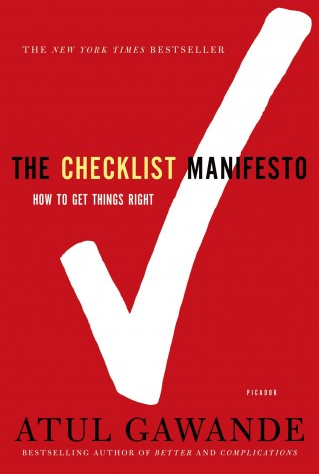 In his New York Times Bestseller The Checklist Manifesto, How to Get Things Right, Atul Gawande, MD, creatively investigates the effectiveness of ‘checklists’ in several settings — hospitals, air travel, skyscraper construction and more. What the settings have in common is they are all highly complex industries, with multiple essential tasks, where errors or ineptitude can be deadly, where safety is paramount, and where improving outcomes and effectiveness is a constant necessity. This checklist approach can be applied to many complex tasks, including Medical Device Development Outsource Selection. In fact, using a checklist to find the best outsourced partner to develop your medical device will reduce errors, increase safety and ultimately improve performance outcomes. At its core, an outsourcing partner must demonstrate the technical expertise required for the program. An obvious way to evaluate this is to look at similar past projects they have developed as a baseline. During the selection process, do a mini interview. Take the time to ask detailed technical questions, peer-to-peer, in such a way as to eliminate any doubt that the outsourcing company possesses the in-depth knowledge and experience required. What often happens is that the discussions get focused around proposed program schedule and price. Certainly very important, but considering the program objective, schedule and price do not point to technical competency. In addition, competency around quality and good manufacturing practices are synonymous with medical devices. One method to investigate this is to ask questions based on internal and external past audits. Information provided in this area will be invaluable in your selection process. Each company may have an internal focus that defines their business structure and objectives. How do you assess performance? A visual inspection of their website and reading any public information available will start to point you in a direction. Look for the number of programs completed over a period of time, and the current number of programs currently in-process, which provides an indication of the activity level at that organization. Combine that with programs that met the initial objective and were successfully introduced to the market and you get a good measure of performance. If the information is not easily found, they should be able to tell you these metrics in the mini interview. Moreover, customer testimonials are invaluable and are typically identified as a marketing tool. An outsource company promoting a number of customer testimonials, regarding their medical device performance, provides a quick ‘pulse’ on performance, as well. Taking this a step further involves asking permission to contact these testimonials and making time to do so. Companies that provide outsourcing services to multiple clients manage difficult daily tasks. How do they juggle priorities? How do they assign tasks? Typically, the expectation is very high that the program will be managed effectively throughout the process (and someone is assigned to lead each project). In a world of uncertainly—combined with working with multiple customers at once—things can, and do, fall apart. A good measure of effectiveness is to first look at the management structure of the organization. Then, consider how team members interact with the management, as well as with each other. So, what is the best way to obtain this information? Simply stated: a site visit. Typically, site visits are scheduled for a morning or afternoon on any given day. I would recommend taking this a step further and take the time to ‘investigate’ by extending your site visit, and perhaps include a dinner meeting, as well. When doing so, continue the peer-to-peer discussions, as mentioned above. For example, have the potential project manager speak with your project manager separately. The information obtained from this type of evaluation will prove to be invaluable. As Atul writes about checklists in the clinical setting: “They not only offer the possibility of verification but also instill a kind of discipline of higher performance”. The same can be said about medical device development. Otherwise, schedules move, milestones are missed, programs cost more, and more importantly, product safety can be compromised. I hope you find these tips useful and would enjoy hearing feedback from readers. In my next blog, I’ll tackle two remaining points– Flexibility and Balance. Telling the parent their child has a temperature of 38.674 °C may be an impressive engineering feat, but the last two digits have no real value and any time spent in development getting there was misspent. Charles Garcia is Vice President of Business Development at StarFish Medical. 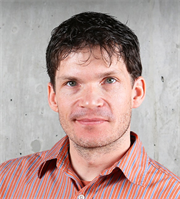 He encourages clients to use his outsourcing checklist when considering and comparing service providers for medical device design, development, QMS, and manufacturing needs.